Maeve da Paer has lived her life free from the Board of Witchery, protected by powerful clan magic—and by a lie. In desperation, she casts her most powerful spell, one that will end the pain before it begins on All Hallows’ Eve…. Immortal tracker Fionn Hughes is on a mission to restore his honor. But, following the scent of gardenias and honeysuckle, he discovers Maeve, the last Scent Witch. Will Fionn be strong enough to stop Maeve when he finds she plans to cancel her own existence? Bri Clark grew up in the South and learned street smarts while caring for her brother in a broken home. She moved on to a series of bad choices. As a teen, her wake-up call came from a judge who gave her the choice of shaping up or going to jail. Bri ended up co-owning a successful construction business but lost everything in the real estate crash. Now she writes, blogs and shares her Southern culture in Boise, where she’s known as the Belle of Boise for her Southern accent, bold demeanor and hospitable nature. Robert and Elise are strangers who meet at a bar. After one unique conversation, they find that they’re at a similar crossroads in their marriages. The decision they make that night will change their lives forever. 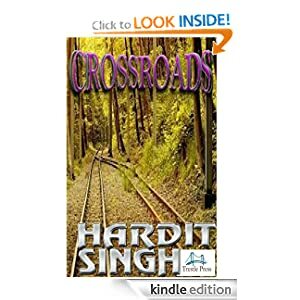 Hardit Singh was born and raised in Southwest England. He rediscovered his love for reading at university, which sparked his desire to write. The author of crime fiction, Hardit believes that the most important aspect of a book is character. Often this is ultimately what the reader thinks about after closing a book. Mere words can create inspiration and empower an individual. The power that stories harness is what compels him to write. 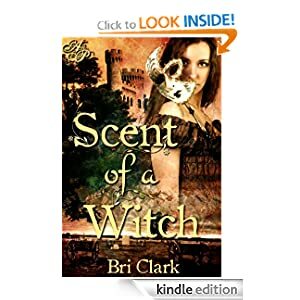 This entry was posted in Reading and tagged Astraea Press, Belle Consulting, Bri Clark, Crossroads, Hardit Singh, novel, Scent of a Witch, short story, Singh, Southwest England, Trestle Press on December 28, 2011 by sallyjanedriscoll. Welcome, Bri… the background’s a close-up view of the top of one of our stone walls.